We review the current state and future prospects of coupled cluster response theory for modeling chiroptical properties in both gas-phase and solvated systems. We first provide an overview of ground-state coupled cluster theory and the analytic derivative approach to computing time-independent properties, and then extend this to time-dependent perturbations. Through the well-established “quasi-energy” approach, we demonstrate the connection between the analytic derivative and response approaches, emphasizing the usefulness of the latter for frequency-dependent chiroptical properties. 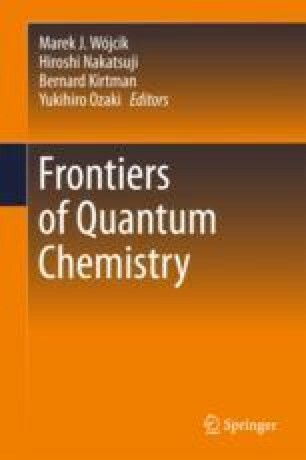 In addition, we review successes of response theory in the prediction of gas-phase specific rotations and electronic circular dichroism spectra for small molecules and the physical requirements of a robust computational model of such properties. We also discuss the many challenges of extending this reliability to solvated systems through several key examples for which theory and experiment diverge significantly. This research was supported by a grants CHE-1465149 and ACI-1450169 from the US National Science Foundation. The author acknowledges Advanced Research Computing at Virginia Tech for providing computational resources and technical support that have contributed to the results reported within this paper.